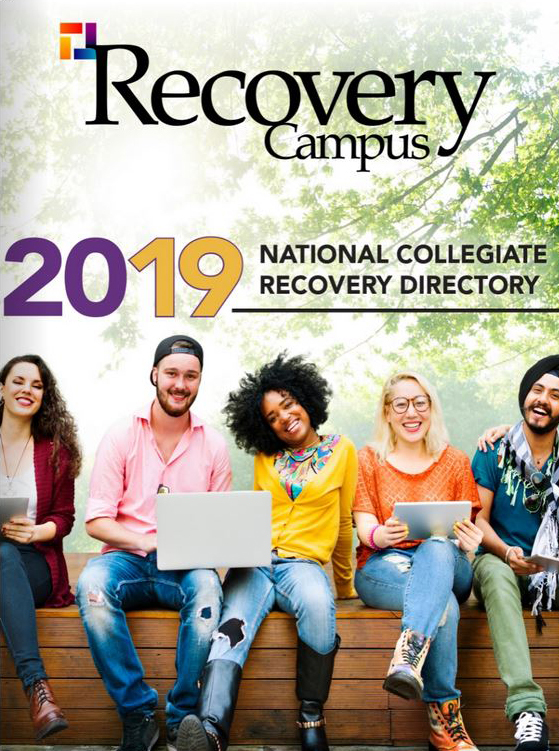 The College of New Jersey launched a collegiate recovery program from scratch by creating a solid community — one student at a time. When Christopher Freeman was hired as the new Community Recovery Supervisor at The College of New Jersey (TCNJ) in June 2015 and was charged with starting a collegiate recovery program, he faced a unique challenge. Most students he needed to connect with were on summer vacation. Plus, a college was a new environment for Freeman, whose background was in treatment settings. “How do I begin?” he wondered. With much administrative support behind him, Freeman decided to just start coloring outside of the lines and see what happened. 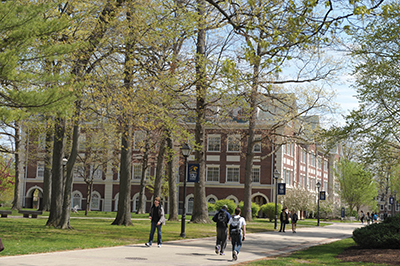 The initiative to create a collegiate recovery program at TCNJ began in 2014, when the college received a grant from the state of New Jersey, which had made funds available for public institutions to support students in recovery and to stem substance abuse on campus. The college had three grant-driven components to implement: create recovery housing, provide counseling and support services, and offer a late-night sober activities program as part of a broader effort to reduce substance abuse on campus. He sent out emails alerting the college community to the new initiatives, used the student health questionnaire to inquire if students were in recovery and spoke at first-year student events about the college’s recovery efforts. “We know from studies that 1 percent of all students are in recovery,” he says. 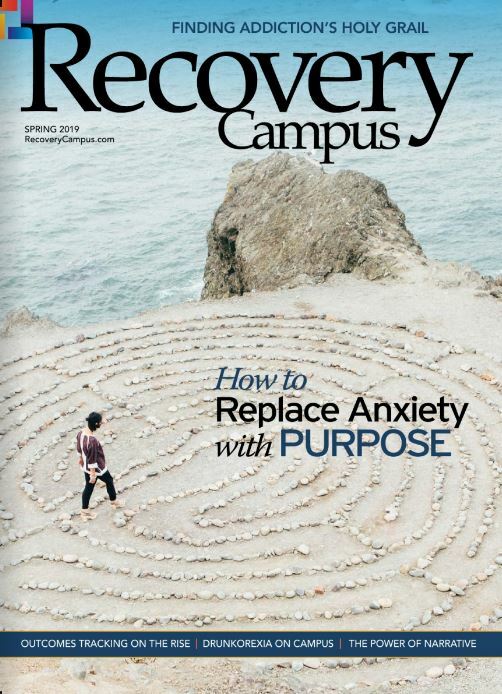 “This might not sound very big but when you have a campus of 7,000 like we do, that could mean 70 students in active recovery — not including those who might be interested in a sober life or have fallen out of recovery. 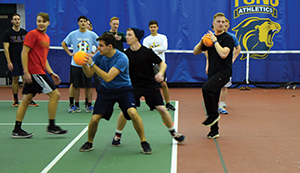 Dodgeball is just one way TCNJ students in recovery let off steam… Dodge, duck, dive, dip and dodge. As he spoke to students, Freeman collected contact information whenever he encountered an individual in recovery. “It was tricky early on since we did not have any activity or community to plug these students into and we did not want to lose them,” he says. Bouncing here and there and everywhere! 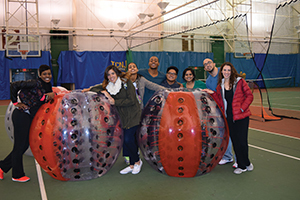 Bubble Soccer is a favorite late night activity for TCNJ students. After nearly a year, toward the beginning of the next summer Freeman had three names of students interested in the collegiate recovery program — enough to start a grassroots effort. The students started meeting with Freeman and steadily, they invited others to join. 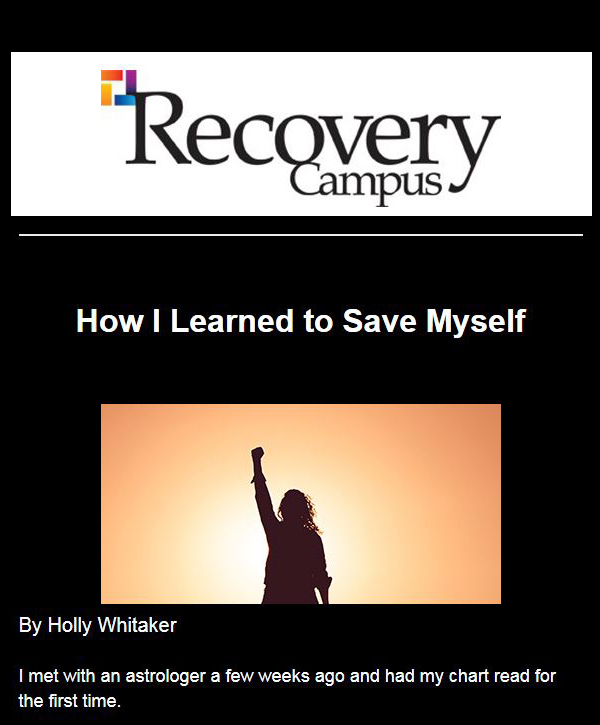 By the second day of classes, there were six to eight students who were interested in starting a recovery community. Since the grant required a focus on recovery housing, the college was well into its planning stages of implementing sober residential space in April 2015 when Gov. Chris Christie signed a bill mandating that state colleges and universities that have 25 percent of their student body living on campus provide sober-housing options within four years. 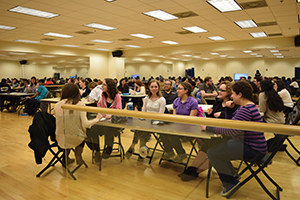 TCNJ brainiacs go team to team for late night trivia. Pride and prizes are on the line. TCNJ had designated a stand-alone specialty residence located on campus that would accommodate five students in recovery. Named “Lion’s House” after the school mascot, the building was meant for students who abstained from substances, were committed to recovery and abided by a community contract. It attracted one student for one semester. The college decided on a different approach. Starting with the 2016–17 school year, students can choose to live in a substance-free residence hall, whether they are in recovery or not. Sober activities also play a key role in the success of the fledgling program. The school hired an activities coordinator to organize sober events during times in which students are looking for something to do and might otherwise be using substances. According to Freeman, last year more than 6,000 students participated in activities ranging from a life-sized game of “Candyland” to jumbo kickball to a costumed dodge ball game at Halloween.